Iraqi and Kurdish forces have clashed in the town of Altun Kupri on the border of Iraq’s autonomous Kurdistan region, security official said, as Baghdad continues its offensive in the wake of a controversial referendum on Kurdish independence. 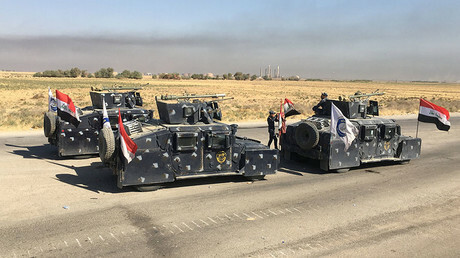 Iraqi security and pro-government militias descended on Altun Kupri, which lies some 50 km (30 miles) to the south of the Kurdish capital, Erbil, early on Friday. Video footage from the Kurdish front lines showed columns of smoke rising and what sounds like gunshots being heard in the distance. In a statement, the Peshmerga General Command said it had repelled the Iraqi advance and destroyed a number of vehicles, including an American-made Abrams tank. “In the morning of Friday October 20, 2017 at 8am, the Hashd al-Shaabi [Popular Mobilization Forces] militias using American weapons which were given to the Iraqi army launched a widespread attack on the Peshmerga forces in [Altun Kupri] Pirde with the Iranian artillery units also involving,” read the statement published by the Kurdish news outlet Rudaw. 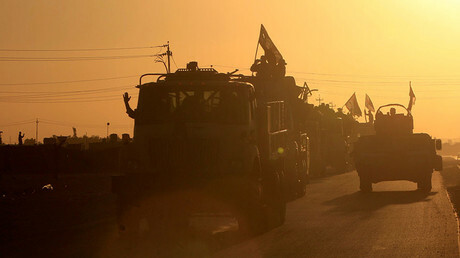 However, the Iraqi Defense Ministry said that the military have secured the town and the area around it. "Altun Kupri is now under the total control of federal forces," the ministry said in a statement quoted by Al-Jazeera. Pictures on social media appear to show Iraqi soldiers in the town, displaying captured Kurdish flags. 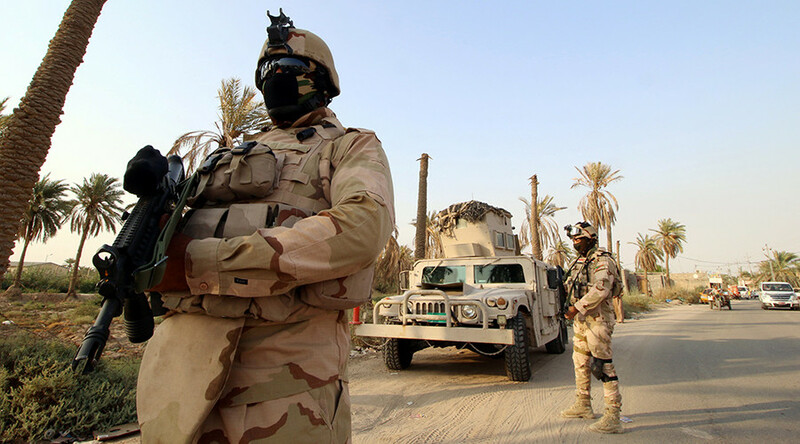 A security source told AFP that Iraqi forces managed to "hoist the flag on the municipality building" in Altun Kupri as the sides exchanged mortar and automatic gunfire. The sources also said that Kurdish general Ghazi Dolemri was killed in the fighting on Friday. It’s unclear how many have been killed or wounded in Altun Kupri, but hospitals have confirmed they are dealing with a number of casualties. An Al-Jazeera correspondent reported that two bridges had been destroyed and local people were fleeing the scene, while the Kurds were sending in reinforcements. According to Iraq's Joint Operations Command, the governmet forces have extended its territory to within 50 kilometers (30 miles) of Kurdish capital, Erbil. AFP reported further shelling as Iraqi troops and militias advanced on Sirawa, located five kilometers north of Altun Kupri. The district of Alton Kupri lies on the border between Iraqi Kurdistan and disputed territories formerly under its control, including the oil-rich province of Kirkuk, which had been seized by the Kurdish peshmerga forces during the Islamic State (IS, formerly ISIS/ISIL) advance of 2014. The fighting in Alton Kupri comes days after the Iraqi military captured the regional capital of Kirkuk on Monday, where fighting also broke out with Kurdish militias. Though Kurdish peshmerga fought alongside Iraqi soldiers and Shiite militias in the campaign against Islamic State, relations with the central government in Baghdad have taken a downward turn since then. In September, the Kurdish government went ahead with a controversial referendum on independence, with 93 percent of voters opting for sovereignty. This drew the ire of not only Baghdad but also Turkey and Iran, which have their own large Kurdish minorities.